The IOSH Managing Safely course is designed to teach managers and supervisors from any sector the health and safety knowledge they need in their role. See information for all the IOSH Managing Safely units. Managing safely is a course for managers and supervisors in any sector and any organisation. It's designed to give managers all they need to know to help them handle health and safety in their teams. What will delegates get from the course? What they need to know - and are perhaps reluctant to learn about - in a refreshingly informal way. The knowledge and tools to tackle the health and safety issues they're responsible for. Importantly, it brings home just why health and safety is such an essential part of their job. What will delegates' employer get from the course? A nationally recognised and respected certificated training for their managers and supervisors. Peace of mind offered by training that's designed and quality controlled, a program that can be delivered on site at a time that suits them and often at a lower price. Save money and have onsite IOSH training - receive an estimate using our handy Onsite IOSH Managing Safely generator. Project Skills Solutions now offer the IOSH Managing Safely course over 3 days in selective venues and dates. Some delegates have fed back to us that although they enjoyed the course very much, it is inconvenient to be away from the office for 4 days. We understand that we are all busy so we are delighted to offer a 3 day fast track course for those looking to take less time away while they earn their qualification. The Institute of Occupational Safety and Health (IOSH) has developed the Managing Safely Training course for managers and supervisors at any level in any sector. The IOSH Managing Safely training course is for those required to manage safely and effectively in compliance with both their organisations policy and best practice in Health and Safety. It comprises of seven core modules requiring a total direct input of at least 22 hours plus assessment time. The programme is taught using a mixture of lectures, practical exercises to maintain interest and to allow delegates to practice the skills they have learned, so that they can be applied in the workplace. It will not turn you into an health and safety expert, but will teach you exactly what you need to know and what your responsibilities as a manager are. Games, activities and discussion to keep the course interesting. For supervisors and managers in any sector. Use the search bar to find your nearest course, choose the best date and book your place. The IOSH Managing Safely training course is for those required to manage safely and effectively in compliance with both their organisations policy and best practice in Health and Safety. It comprises of seven core modules requiring a total direct input of at least 22 hours plus assessment time. The programme is taught using a mixture of lectures, practical exercises to maintain interest and to allow delegates to practice the skills they have learned, so that they can be applied in the workplace. It will not turn you into an health and safety expert, but will teach you exactly what you need to know and what your responsibilities as a manager are. Delegates will be given an insight into health and safety practices, learning about their legal responsibilities to themselves, their employer and others, according to current legislation. Introducing Managing Safely - Some managers may see health and safety as an add-on to their role, even an intrusion. The first module makes it clear that managers are accountable for their teams. Assessing Risks - This module defines and demystifies 'risk' and 'risk assessment'. Risk assessments and a simple scoring system are introduced, and delegates carry out a series of assessments. Controlling Risks - Here the session tackles cutting risks down, concentrating on the best techniques to control key risks, and how to choose the right method. Understanding Your Responsibilities - The demands of the law and how the legal system works, and introduces a health and system management system. Identifying Hazards - All the main issues any operation has to deal with are covered in this module - entrances and exits, work traffic, fire, chemicals, electricity, physical and verbal abuse, bullying, stress, noise, housekeeping and the working environment. Investigating Accidents and Incidents - The session starts with why accidents should be investigated, and goes on to cover why things go wrong, and how to carry out an investigation when they do. Measuring Performance - This module explains how checking performance can help to improve health and safety. Delegates learn how to develop basic performance indicators, and get to grips with auditing and proactive and reactive measuring. Project Skills Solutions have a 100% pass rate on all IOSH Managing Safely courses, we are so confident in our courses that we've introduced the Pass Plus scheme. Re-enrol on any of the training days again to continue studying if you fail to meet the required standard in the examinations. Delegates must make themselves available at reasonable notice for re-test. Failure to be available for 3 dates offered will result in the pass plus being invalidated. 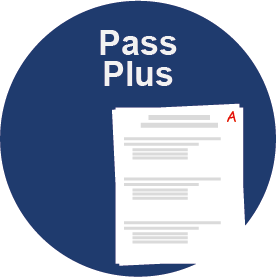 Re-tests and guarantee is available on all full cost courses, for any discounted courses the pass plus will be honoured at our discretion. You must have taken a full and active part in your original course (this will be down to the trainers judgement). Training days must be taken within 3 months of first course. Maximum of 2 courses re-enrolled. Please keep in mind that PSS will make the best effort to find a date and location most convenient for you, but the location offered to you may not be the location of your original course. Our training centre in Basildon, Essex is a short ride from train stations on the Liverpool Street line and the Fenchurch Street C2C line. Free parking is available on a side road a 1 minute walk from the centre, we have indoor facilities to store a bike if you choose to cycle to us. Our IOSH Managing Safely courses in Birmingham are held at Mosely Golf Club, free parking and close to public transport links it's the ideal venue to complete your course. Based in West London our Brentford training centre is ideal for delegates based in London, a short walk from Key Bridge Station and at the end of the M4 you can drive or use public transport to get to your course. This venue has great links to the City or West of it. We've partnered with the Premier Inn to provide a convenient and comfortable venue for your course. Conveniently located between the M4 and M5 our Bristol venue provides regular IOSH Managing Safely open courses. Held at The Players Golf Club to provide free parking and a friendly and relaxed atmosphere. Our Cambridgeshire training centre in Bourn hosts IOSH Managing Safely courses monthly. Located just ten miles from Cambridge centre at a picturesque golf course with plenty of parking and lunch provided you'll enjoy your time on the course in comfortable surroundings. IOSH Managing Safely open courses available in Cardiff city centre, parking is available. The IOSH Courses in Cardiff are ran at the Holiday Inn in Cardiff City Centre. Project Skills Solutions ran IOSH Managing Safely courses from the Premier Inn in Castleford, West Yorkshire until the venue closed down. We have since moved this location to just outside of Leeds to offer clients in the area options for IOSH Managing Safely courses. The training venue in Clapham was added in 2018 to give more location options to clients within the London areas. Included in the cost of your IOSH Managing Safely course are your refreshments, your IOSH course book and the certification on the completion of your course. The Clapham venue for IOSH training courses has great transport links. Lunch and refreshments, wi-fi and located close to the A12 and M11 our Colchester venue is easy to get to when choosing your IOSH Managing Safely course in Essex. For other Essex IOSH Managing Safely training locations please click onto our IOSH Managing Safely page and full locations will show. Our IOSH training venue in Crawley, West Sussex is situated close to Gatwick Airport, free parking is available as well as lunch. Courses running monthly, book direct on our website. We are working with Birchwood Park Golf Club in Dartford, Kent to provide IOSH Managing Safely courses to delegates in Kent. We are running IOSH Managing Safely training courses monthly at this venue. The Dartford, Kent training venue has good links to the M25, M20, A2 and the A20. Not far from the Dartford Crossing this venue is easily reached from all areas of Kent, London, Essex and Sussex. We are proud to have added Edinburgh, Scotland to our course offering in 2017, this venue is located on Edinburgh Park at EH12. Project Skills Solutions have partnered with the Edinburgh Premier Inn to deliver courses on a monthly basis, IOSH courses include lunch, unlimited refreshments, IOSH course manual and the certification. IOSH Managing Safely courses at the Holiday Inn Epsom, Surrey with free wi-fi and ample free parking. Our IOSH Managing Safely courses are run monthly. Following on from the popularity with our IOSH training courses Edinburgh, we have added in IOSH courses in Glasgow, Scotland. The IOSH Managing Safely training courses in Glasgow, Scotland are running approximately every 6 to 8 weeks at the Premier Inn in George Square. 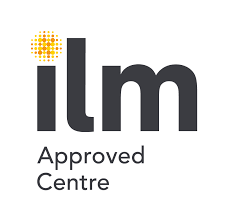 Low cost IOSH Managing Safely courses in Limehouse E1W, London, you don't pay a premium for our courses in London, held at the Holiday Inn a 5 minute walk from Limehouse station (DLR) and with parking available you can drive or get to your course on public transport conveniently. With the popularity of our IOSH Managing Safely Courses in Manchester we made the decision to add Liverpool to our IOSH course locations. IOSH Managing Safely courses running over 3 days in Liverpool City Centre at the Premier Inn. Our IOSH Manchester venue is situated right in the City centre with great public transport links. There is a carpark a short walk away, which is £6.50 for 24 hours of parking. Courses are running monthly and you can book your IOSH course direct on our website. The Mansfield location is centrally located in the Midlands, just off the M1 on the Pinxton Interchange, courses running monthly over 3 days at the Premier Inn. Our Milton Keynes training is held at the Holiday Inn Milton Keynes Central. The venue is ideally located in the middle of Milton Keynes, parking is available and the centre is easy to travel to using public transport. Loughton, Bletchley, Towcester, Buckingham and Newport Pagnell are all within easy reach. IOSH courses just outside of Newcastle city centre at Premier Inn on the Team Valley Trading Estate easy to get to using public transport or drive and use the free parking available on site. IOSH courses in Newcastle are offered over a 3 day block with all materials and the certificate included in the course price. 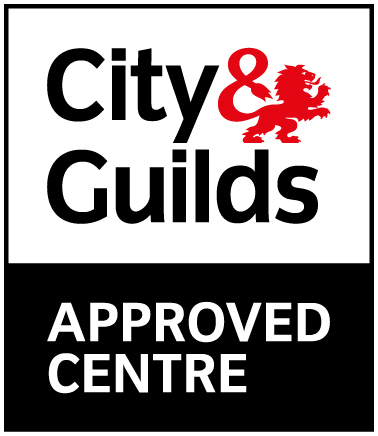 IOSH courses in Sheffield City Centre were added by Project Skills Solutions in 2018, as our expansion in the North of England. IOSH courses offered at Sheffield over 3 block days with a start time of 9am. The IOSH course price includes the materials, manuals and the certification. Project Skills Solutions made the decision to move our Epsom, Surrey location to Sutton, South London. The IOSH courses are delivered at the Holiday Inn at Sutton. The course starts at 9am, lunch and refreshments are included in the course costs. Our closest training centre to North London is located within the M25, in Watford. This venue has easy transfer links across London, Hertfordshire, Middlesex, Bedfordshire and Buckinghamshire. We run a full range of IOSH Training courses here including IOSH Managing and IOSH Working Safely training courses. Courses running monthly. IOSH courses in the heart of London held at the Premier Inn Victoria, easy to get to using public transport. If you live/work in London our Victoria venue is ideal for your Managing Safely course. Discounts are available on group bookings, call us for a no obligation quote. Booking a trainer for a group is cheaper than you think. How long do I have to complete my IOSH Managing Safely elearning course? You have 4 months to complete your elearning IOSH Managing Safely course. If you take longer than this you can purchase an extension. Typically we suggest you allow 24 hours of study to complete the course, however, often it is completed in less time. If you use the search bar on our homepage or click on the upcoming course page, then type in your location and the closest training centre will show with the prices, dates and availability. Or if you would prefer, call the training team on 0800 0213 263. Which IOSH course do I need? 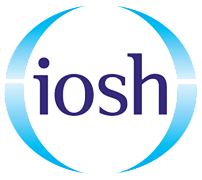 The IOSH Working Safely is perfect for all staff in any sector to give delegates the knowledge to work safer, it can be used as staff health and safety induction training. The IOSH Managing Safely is for managers or supervisors in any sector across all industries who are looking to manage risks. The IOSH Managing Safely training course is for managers who need to learn how to manage safely. Not sure what you are responsible for? This course will teach you want you need to know, no more, no less in an informative and interactive way. 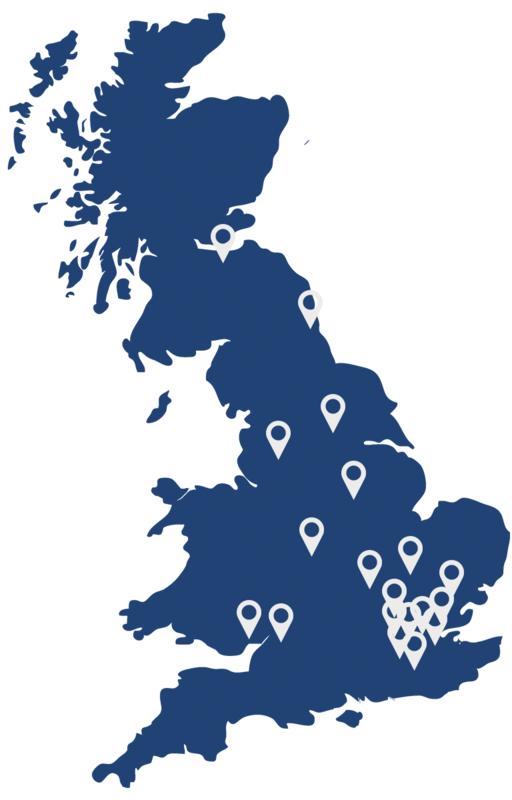 We run IOSH courses UK wide, use our search bar to find the location closest to you with the prices, dates and location. How long do I have to complete the IOSH work? You have 2 weeks after the final workshop to complete your work and send to us, if you cannot meet this deadline for whatever reason please call us on 0800 0213 263 so we can try to make special arrangements. How long will my IOSH certificate take to arrive? Your certificate will arrive 3-6 weeks once you have completed the course and remaining work, this can vary based on how long it takes for the trainer to mark your work. 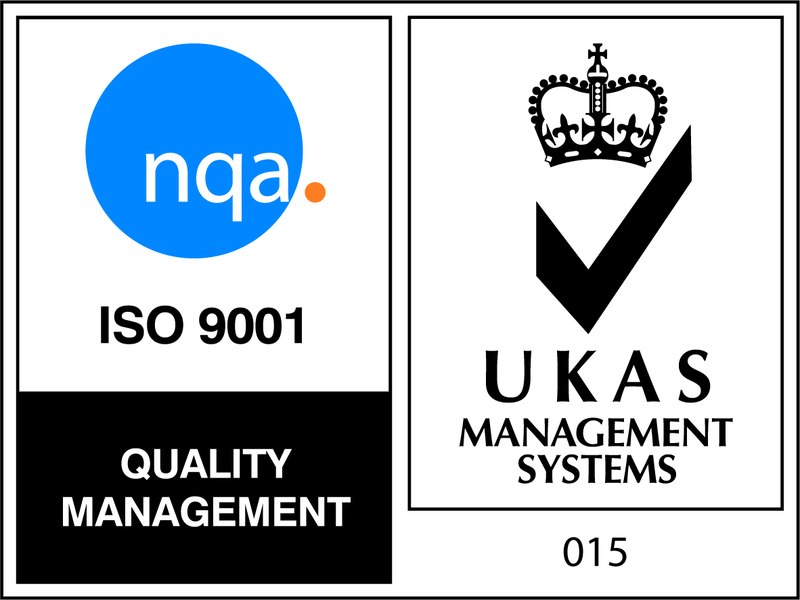 If you are worried your certificate has not arrived call us on 0800 0213 263 and we can find out when it is expected to arrive. Does the course include lunch? The majority of our courses include lunch, this is based on location however and some do not. Once you have booked your course, you will receive joining instructions with lunch information included. If you have any dietary requirements please let us know so we can accommodate, if you would like to know if your course includes lunch before booking contact us and our training team will answer any questions you have. What do I need to bring to my IOSH course? Nothing, just turn up on the day and everything will be provided for you. Can IOSH courses be run on-site? Our IOSH Working and Managing safely courses can be run on your site or a location convenient for you, and can still be accredited by IOSH. Call the PSS training team today for a quote, if you have a group of delegates this is the most cost effective and convenient way to get your staff trained. Maximum delegates on an IOSH course? IOSH allow a maximum of 20 delegates per course, however to get the most out of training we recommend having no more than 12 delegates. This is usually the max we will allow on our courses, if you would like a group trained we can accommodate any group size up to 20. Is the course guaranteed to run? The very nature of these workshops mean we need a minimum number of people for the course to run. This is both to make it financially viable as well as promoting a good environment for learning. Our minimum number of people is 2, which seems low, but we’d rather run the workshop if we can. If for any reason we need to cancel we’ll give you at least 14 days notice. If you would like to find out more about bookings so far, feel free to give us a call and we’ll be happy to help. We can train your delegates at your site, all you need is a room big enough for your delegates. If you do not have a suitable room, we can find one nearby. All of our prices include all the certification and/or cards for the course, there are no added extras for any certificates. The full address will be sent out once you have paid for the course. As far as we know we are the only company who will let you find out exactly how much you could save by training your group together on your site. You can use the slider to see what happens to the price the more delegates you book on, and send that estimate through to our team with the dates you would like to be confirmed the same day. Don't wait days for other companies to get back to you when PSS will give you an instant price, we can almost guarantee we will be most competitive! If you have a group of delegates the most cost effective way for you to get staff trained is to book the trainer out for the day. We can send the trainer to your site or you can send staff to us. With group courses we can tailor the course to suit your sector, the trainer will make references to your industry so the course is more relevant and your delegates are more likely to engage and follow. The trainer comes to your site he can show your delegates potential risks and hazards at your site. Then put into practise as to how the risk could be avoided, reduced or eliminated. If you need to train more than a couple of delegates, booking a trainer out for the day could be the most cost effective option for you. The calculator is based on a 3 day course, we can run the course over 4 days and for up to 20 delegates on request. You are allowed a maximum of delegates on this course. Saving of £ + VAT, based on average open course alternative.